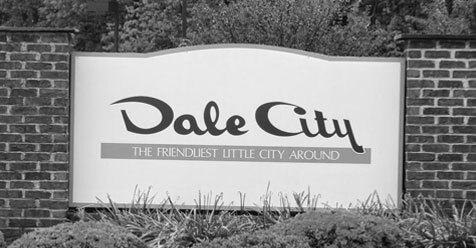 Dale City was founded by real estate developer Cecil Don Hylton, who chose its name to describe “hills and dales” of the surrounding area. The place is close to the Potomac Mills Mall, which is the second largest shopping mall in Northern Virginia and also the largest outlet mall in the US. Another place of interest is Waterworks Waterpark, featuring various facilities situated in Dale City. Northern Virginia Checker Cab provides taxicab services in Dale City, VA. No matter if you need an airport transfer or want a night out, if it is a business-related journey or a shopping tour, just book a ride with us and enjoy an exceptional taxicab service. Our customer support is available 24/7, so you are can make your booking any time. When in need of an airport transfer, always opt for a reliable and punctual taxi service – and Northern Virginia Checker Cab is just that. Whether you are traveling to or from Dulles (IAD), Manassas Regional (HEF), Reagan National (DCA) or Baltimore-Washington International Airport (BWI), be certain that you will get to your destination in time. Our skillful drivers will spare no effort to wisely navigate the city no matter what time of the day is, and you’ll be able to relax and focus on your own matters or just enjoy the comfortable ride. Never let driving, traffic and parking issues add up to your stress levels when heading for an important business meeting – call Northern Virginia Checker Cab, book your journey and get to your destination safely and in time. Corporate travelers, both small businesses and large corporations, are able to open their business accounts with Northern Virginia Checker Cab. This way you will be able to conveniently travel, track all your expanses and thus save your money. There’s even more – if you are a large volume client, special rates and discounts apply. Dial +1 703 257 0222 to find out more and to book your ride.